The Western Cape is a beautiful region situated within the south-west part of South Africa. The entire region covers an area north and east of the Cape of Good Hope. You will find that the region runs a distance along the south coast and then carries along for about 400km northwards along the Atlantic coast. Within the region, you will find a diverse selection of landscapes from long stretches of beaches, mountains, forests and semi-arid areas. Plant life and animal life are in abundance, displayed in the unique Cape Floral Kingdom. The climate is also diverse, which provides a variety of opportunities and farms for sale in the Western Cape. Some of the popular areas in the Western Cape include the Overberg, Garden Route, the Central Karoo, the Cape Winelands and the West Coast. Buying a farm is a serious decision and one must know what you are getting into. Owning a farm, even if it’s only a small holding, can be a lot of work, but ultimately it can be profitable. Why would anyone want to buy a farm in the first place? Well, the main reason most people purchase farms is, of course, to make it into a source of income. The significance of creating local producing farms is important and has a meaningful impact on the local communities. Many of the smaller farms have begun to sell directly to the consumer. With the increase in population and mouths to feed, the demand for food has also grown and opportunities are always out there. The agricultural sector plays a major role in the country’s economic growth and creates many job opportunities. Many companies must diversify to create new income streams, the same can be said for farms. Many of the farms for sale in the Western Cape and elsewhere provide opportunities for other opportunities. For instance, creating a game farm, opening a restaurant, providing space for an event like kids’ birthday parties. Over the years there has also been an increase in farms converting into estates. These Estates are where luxury homes are built within a secure area and are generally close to major amenities like schools, shops and main roads. Others instead of creating an entire estate, usually convert cottages or buildings on the premises into accommodation options. In most areas around the country, but especially in the Western Cape conservation is very important. Conserving the land and all the indigenous plant and animal life plays a major role in making sure that the natural land is here and available for future generations. By protecting the natural surroundings on farms, will ultimately help to increase property values in the future and maybe even attract new investors. To begin with we need to consider what the term farm constitutes? If I was asked this question, I would answer by saying a farm is a very large piece of land that is used for agricultural reasons. Also, for raising animals like cattle, sheep, pigs and poultry. Then there is also the raising of crops like corn, maize, fruit and vegetables. In today’s time, we also find farms such as wind farms and fish farms. All of these are there for the sole purpose of producing commodities that can be sold and yield an income to the owners. Then we need to understand what size a farm should be. The size can be determined by the square area of land that is available. In this regard, small farms can be anything from 2 Ha, which today makes up around 25% of the available farming land in South Africa. Then the larger farms are 500 Ha and more. These smaller farms are often referred to as small holdings. Another way in which to determine the size of the farm is by the amount of income the commodity farmed produces each year. The smaller farms income per year can be in the region of R25 million while the larger farms income can be anything from R100 million and upwards per year. Farms for sale in the Western Cape can be very beneficial for owners, mainly due to the physical resources available. The winter rainfall and hot summer days are ideal for the wine farmer, as this climate produces the best grapes. It is a known fact that the Western Cape agricultural sector produces more than R10 Billion per year for the country’s economy. For this very reason, productive farms for sale in the Western Cape can be very hard to find. If you are in the market to purchase a farm in the Western Cape it may be a good idea to look at the different types of farms that are for sale. Wine Farms: When you mention various types of wine then most people will think of the Western Cape, where most of our countries wine is produced. 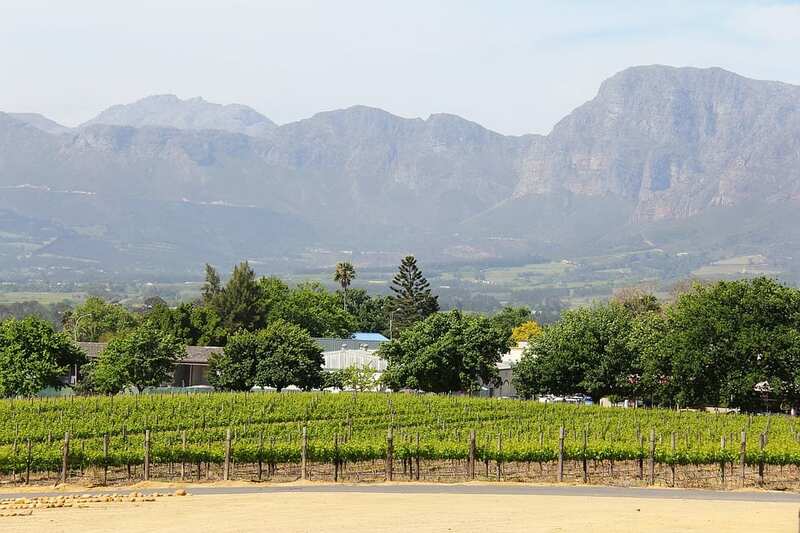 There are a few popular areas in the Western Cape including Stellenbosch, Constantia, Paarl, Somerset West, Robertson and Franschhoek to mention a few. Tourism plays a vital part in the industry, as you have all those beautiful wine routes that can be navigated by the visitors. The income generated by the wine farms, not only comes from the sale of wines and hosting wine tastings. Most of these wine farms have accommodation and venues, which are often hired out for weddings There are also many other types of events that can be hosted on a wine farm. Many of the wine farms also have their own restaurants. Game Farms: Although the Western Cape cannot compete with the likes of The Kruger National Park and others, but it can boast of over 37 game lodges or farms. These include Thali Thali Game Lodge, Botlierskop Private Game Reserve, Garden Route Game Reserve and the Aquila Private Game Reserve amongst others. Equestrian Farms: Unlike the other farms for sale in the Western Cape, the Equestrian Farms do not have to be so large. A 5 to 10 Ha farm is enough, and it can be utilised to breed horses or offer stabling for other horses. The farm can also just offer the opportunity for horse riding to visitors and the local community. Guest Farms: A Guest Farm or Lodge is a good investment, as it is not dependent on the weather or animals that might cause problems. It is also a perfect retreat for the family with children as they can handle pets and enjoy the wide-open spaces. Often the guests can choose to cater for themselves or enjoy the farm cooking at the guest house or restaurant. Small Holdings: These properties are much smaller and can be less than 2Ha in size. This is the cheapest of all the farm properties and as such is affordable to many medium income families. However, it can also render an income to the owners, as you can have poultry, livestock, fruit or vegetables to sell. Farms like these are readily available for sale in the Western Cape. Another advantage is that these properties are usually not far from the residential areas, and so are much closer to schools and Shopping Centre’s. Make sure you are dealing with a professional property consultant who can inform you properly. The Estate agent should be knowledgeable on the more unique process of farm sales. They should also be in the know for things that deal with the water and electricity supply for the land and much more. Depending on what you want to farm, be it wine, fruits, livestock or anything else, it is important to know what soil is available on the farms for sale. You need the proper nutrients in the soil if you want to grow specific crops. To help find out about the soil, you can have a chemical analysis done. You must take into consideration all costs. For this kind of venture, you will inevitably need more money besides the purchase cost. Make sure to work out the costs as close to what you expect. Have a thorough knowledge of the local market and design a comprehensive business plan. You can also compare the asking price with the income potential of the farm. Most times there are a lot of different items found on a farm and these can be categorized as movable, like farming equipment or immovable. All of these must be taken into consideration when negotiating the sale price. Today, it is also very important to make sure that you have investigated the land history. The farmland could turn out to be a heritage site, if this is the case you will be restricted in what you can do on the property. Mineral and water rights, as well as land claims, should also be taken into account. Other issues to consider include the farm’s location, the rainfall, security, schools as well as the surrounding infrastructure. Many people want to escape to a place outside of the busy urban areas and take advantage of the farming and tourism opportunities available. The price in the cities for property tends to be very high, so purchasing a farm will give you value for money. You should think and consider all the pros and cons of buying a farm, especially if you only want to do so because you want to retire or move onto a farm to get away from the city. There is a lot of hard work and time involved in keeping a farm running. But if it is a decision you really want to make, and you put in the effort, then the outcome will be well worth it. Whether you just want to be self-sustainable or create a legacy, buying a farm for sale in the Western Cape or anywhere in the country can be very rewarding.